I am a huge fan of U2. Always have been and always will be. At this point it doesn’t matter what they release. Even at their most mediocre, they can release a collection of sub-par songs and follow it up with a massive tour worth millions, with legions of fans, and no one cares as long as they play “Sunday Bloody Sunday”, “With or Without You,” and “One”. It’s amazing, they are almost untouchable. I say almost, because the band knows that they’ve released some poo-poo. But that’s okay, for every Pop, they re-right the ship with an All That You Can’t Leave Behind, and Pop wasn’t even that bad. I think at this point we just expect U2 to write an album’s worth of anthems. 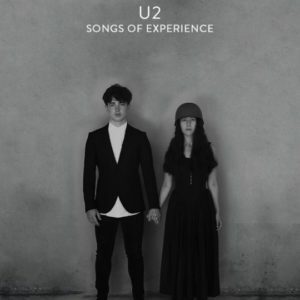 Following the assumption that everyone on the planet wanted their last record Songs of Innocence, the band opted for a softer approach with its sister record, Songs of Experience. The record is tender, radio-friendly, pop schmooze, and it’s decent at times, but U2 doesn’t need to veer to far from the formula. They are a juggernaut and know exactly what their fans are looking for. The first single “You’re the Best Thing About Me” follows the canon with simple verses and an anthemic, sing along chorus primed to fall in line with “Vertigo” and “Mysterious Ways” on the set list. “Get Out of Your Own Way” follows suit, with a short and simple guitar solo strung along by The Edge. “Red Flag Day” offers a bombastic chorus with their best impression of The Clash. “The Little Things That Give You Away” is a bleeding heart that pulls on the heartstrings. “Love is Bigger Than Anything in the World” is a standout track on the album with its easily identifiable and familiar chord structure. But the song highlights what many of the songs on this record do. Bono’s mysterious ‘brush with death’ combined with the global politics of 2017 forced the record in a new direction with hard conversations about love, death, and how we process those emotions. With the success of their recent tour where they finally succumbed to the passing of time by playing The Joshua Tree from front to back in true nostalgic form, the band seems re-energized, and will hopefully use that as fuel for their next magnum opus of a record.